At Chambers Family Dentistry, we understand that you can’t plan for dental emergencies! No matter when a dental emergency occurs, our dentists and dental team are here to help you. If you or your child experience a dental emergency, call our Annapolis, Maryland dental office immediately at 410-224-2660. We will schedule you to see Dr. 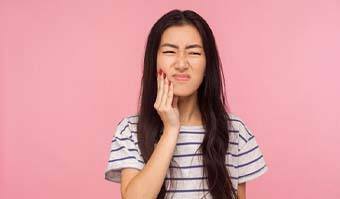 Chambers, Dr. Raimondo, and Dr. Jiminez as soon as possible, and our knowledgeable dental team may be able to suggest methods for relieving pain and discomfort in the meantime. Contact us today to learn more about our dentists and emergency dental care. As frequently as possible, we offer same day dental care for patients experiencing dentistry emergencies. If for some reason we’re unable to offer an appointment the day you call, we’re always happy to provide tips for care and pain management over the phone. Not sure your situation requires urgent treatment? Call us anyway. The sooner we get to work restoring your oral health the better.